Aviva, Google, Adobe and Merkle work out how to stay personal but keep the reach in a post-GDPR universe. "Relevance and being irrelevant is not acceptable – on any channel. Customers understand when you can personalise and when you can’t. Irrelevance – even across broadcast – will become unforgivable." 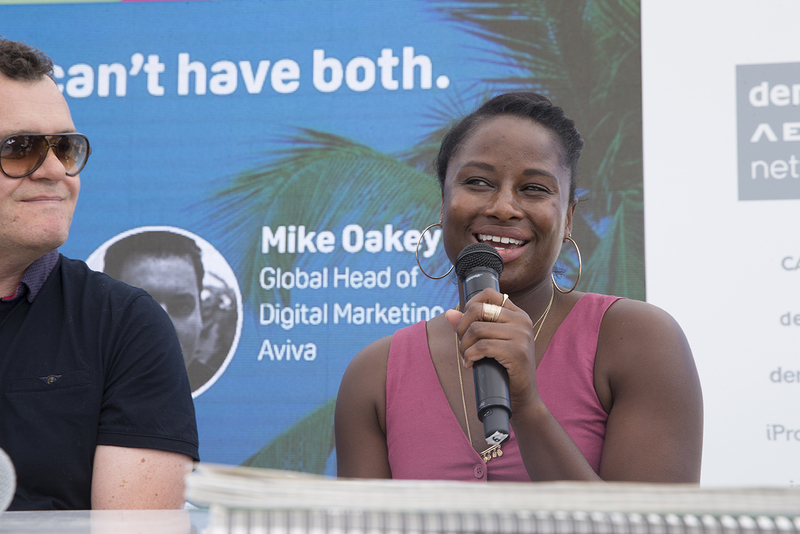 Mike Oakey, global head of digital marketing at Aviva said the marketing landscape has shifted. 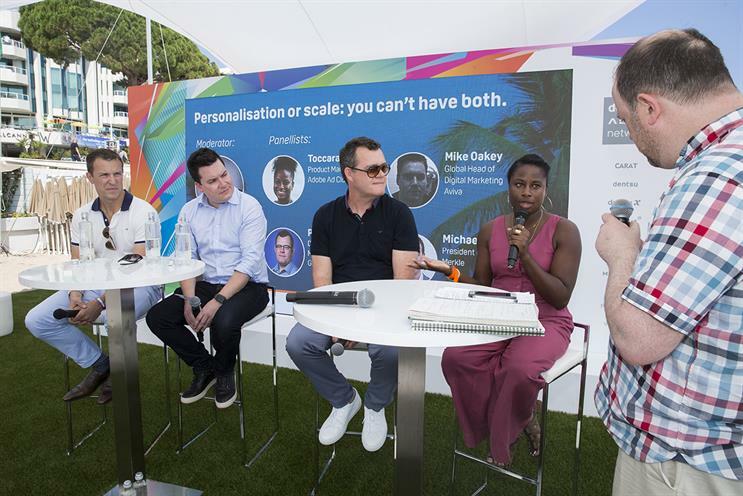 He was speaking at a Campaign-Merkle hosted panel about personalisation and scale – an interrogation into whether you can actually do both, particularly in this post-GDPR world. There are small consumer downsides admitted Michael Komasinski, EMEA president, Merkle: "I can’t access the Chicago Tribune living in London unless I pay up for it. It is a demonstration of how the ecosystem has changed. Consumers were used to getting free content, anywhere they wanted, every time they wanted. Now we have a choice of paying or going without." But he said that this means transformational times for those reliant on mass scale: "Cheap and easy third-party prospecting is going to change. It’ll show up in email marketing and programmatic primarily. There is already evidence that third-party prospecting databases have been cut down significantly as clients audit databases." Oakey sees this as a good thing and that the changes are going to help everyone: "I am pro GDPR – it is a good thing for consumers and the industry. We’ve had a long time where we’ve been able to opt people in and not be transparent. It means there should be more space in the inbox. More space to do more personalisation and stand out." Komasinski..."Investment in experience has to be higher"
Toccara Baker, product marketing EMEA from Adobe Ad Cloud, said it’s not easy any more: "You need to get creative with how you execute. The consumer’s experiences need to relate to each other." Baker described a cross-channel experience where the right consumer sees the right ad in the right way consistently through the sales journey. And this has to be a compliant experience: "We talk a lot to publishers about how we get consented traffic." 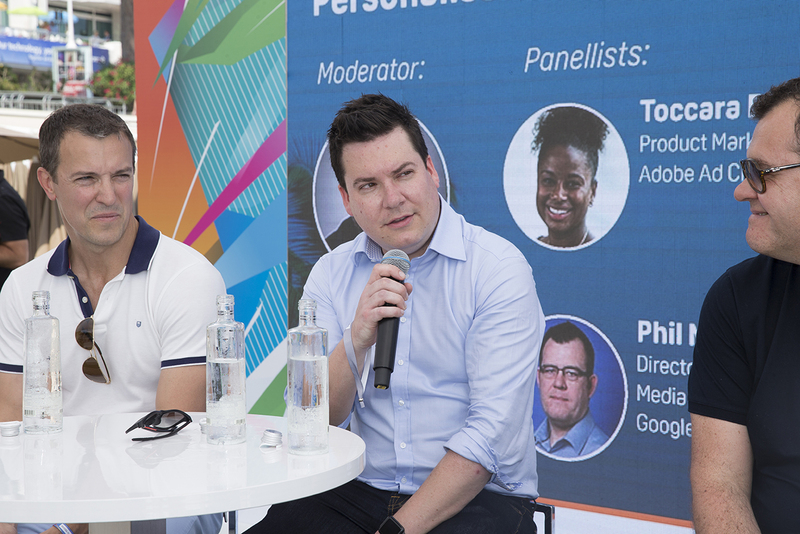 Phil Miles, director of media buying solutions at Google admitted it may be a good thing but it is still tough: "GDPR is a challenge, a challenge for the whole ecosystem and Google within that. That journey to more consent-based marketing is positive." Baker described how clients like Aviva have always been secure with their data but other clients found it harder: "We’re having a lot of conversations about how they’re collecting data and what they’re doing with it. From a product perspective, how you can be more targeted and drive personalisation – it becomes a testing ground." Miles..."GDPR is a challenge, a challenge for the whole ecosystem and Google within that"
Traditional disciplines will become more relevant, said Miles, as the market matures: "This is about the industry growing up. It’s still relatively young. One of the main things people did is remarketing. It is a blunt instrument. This is going to be harder to do. This will lead to a rebirth in planning. We need to find ways that are not so blunt, perhaps. A return to things like contextual targeting and different ways you can connect with consumers. It’s about less data, higher quality data and a focus on clients and their first-party data." For Komasinski, this heralds the age of ‘experience’ – that’s where the ad-dollars will head: "Investment in experience has to be higher. That conversion rate for those new customers has to be much higher. Data investment will skew towards fewer providers with higher cost. But conversion rate is so much more important in this new world." So, who are the brands that are succeeding? Komansinski says clients like EE and RBS are doing well joining customer analytics and "decisioning capability" – investment in increasingly important technology that can trigger the right messages on the right platforms at the right time. Baker cited Dell for their exceptional use of website data and Intel who have developed a powerful content strategy: "Heineken is also doing a good job of working out how all their different pieces of data talk to each other, then finding various partners they can work with to give them missing answers to questions. They don’t own the stores where people buy their beer." Oakey cited Amazon as they’re totally digital. "They are perfectly aligned to provide incredibly personalised ads to tens of millions of customers." But they’re digital first. There are different problems when it comes to legacy industries and legacy technologies. Oakey added: "I have never worked in a business that’s got all it’s data talking to each different database. And that is what Amazon have got. You do the best that you can with what you’ve got. You have finite budget and resource." Baker..."You need to get creative with how you execute. The consumer’s experiences need to relate to each other." The ability for brands to connect up all their data requires changing way people work, the structure of marketing teams, of businesses and even the type of people leading them. Oakey said there are three elements to any tech project – people, process and technology. "If you can get all three to align, you’ll be successful. At Aviva we completely re-platformed, which took about a year. And I’ve spent the last year getting the team lined up." 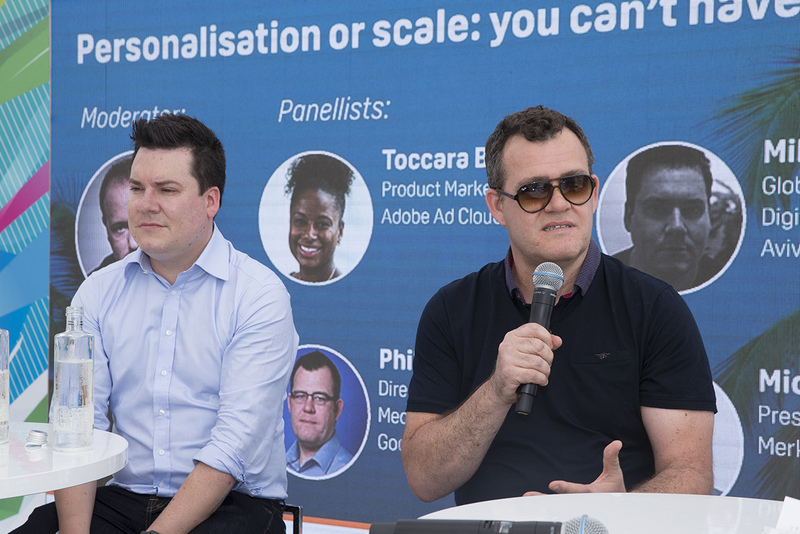 "When you’re talking about ‘personalisation and scale’ it’s been two different teams – the brand team and agency, then a digital agency in the middle, with a CRM, first-party data team that sit separately. 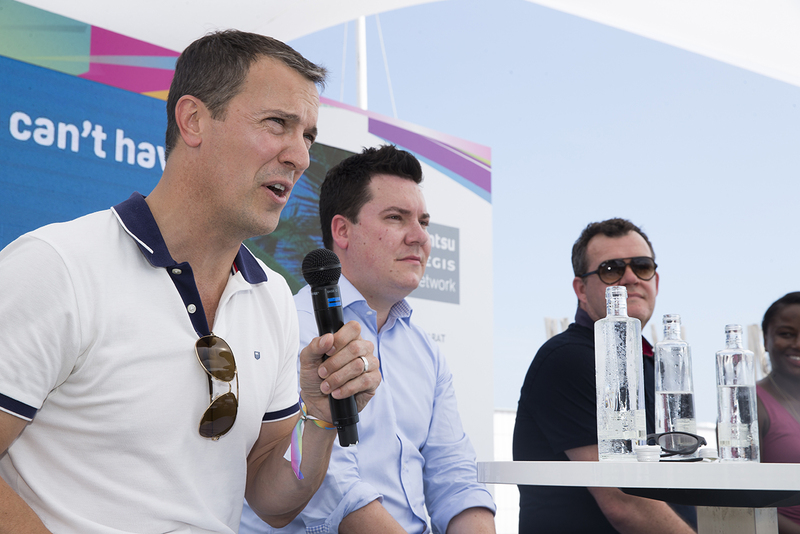 At Aviva we’ve been getting all these different disciplines working together." Baker described the different skills needed: "We are looking at people on teams who’ll have an understanding of tech, of creative and understanding of a lot of different media at once. Finding and trying to grow those people within companies is going to be critical. How do I navigate what we have to deal with from a data perspective and how to connect everything together? How do you change your company and team set-up?" Oakey said: "We’ll see CMOs coming from a data background not a traditional background and our CMOs will be talking much more closely to our CTOs." Oakley..."There’s no point sending stuff to customers who don’t want to receive that. It is a wholly negative thing"
Personalisation and scale: can we do both? "The future is more consent based," said Miles. "Success in the future is going to be related to providing relevancy to consumers – for them to want to give you that engagement as a brand and as a publisher. High quality brands and high quality publishers will remain in a strong position to give good value and relevant solutions to their consumers." This creates openings – especially as there’s ‘space in the inbox’, Miles adds: "More inventory will become addressable to personalised ads. That will make the opportunity bigger as you bring in more TV formats, digital out-of-home, and so on. The importance to develop that consented personal relationship is going to become critical for brands." Komasinski said that personalisation at scale is tough but it always has been: "It is possible – it is a challenge but not because of GDPR but because it is complicated. The teams we run for Aviva are embedded, inter-disciplinary, and agile and that is a new way for clients and agencies to work." "It is about us growing up as an industry," Oakey concluded. "It’s about us being 15-20 years in and doing the right thing. Spam doesn’t work. There’s no point sending stuff to customers who don’t want to receive that. It is a wholly negative thing."